Discover internal and external sources of funding to support your research and projects. FedBizOpps is the largest collection of contract funding from the U.S. government. The Foundation Center maintains a large listing of non-federal foundations which provide grant funding. The Foundation Center also houses a substantial collection of IRS 990s, which allows users to review past giving history for a particular foundation. Grants.gov is the nation's portal for applying to federal grantmaking agencies. Great Lakes Colleges Association provides a number of funding opportunities focused on liberal arts and education. Michigan State University Libraries maintains a list of funding opportunities for individual undergraduate students and faculty. 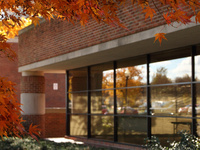 NIH serves as the nation's largest funder of biomedical and biobehavioral research, education and training projects. NSF serves as the nation's largest funder of basic science (including the social sciences) research, education and training projects. Updates on AHRQ funding opportunities, agency updates and regulatory updates. APRA-E periodically releases Funding Opportunity Announcements which focus on overcoming specific technical barriers around a specific energy area. You can sign up to receive APRA-E newsletters. The EPA allows users to subscribe to agency updates, including new and upcoming grant programs. The Federal Register is the official daily publication for rules, proposed rules and funding opportunity notices of federal agencies. Grants.gov publishes a daily email digest of new, updated and deleted funding opportunities. To enroll, register for an account and request to "add a profile" to affiliate with Hope College. IES provides periodic updates on funding opportunities through its News Flash service. Additionally, News Flash provides information on newly available educational datasets, conferences, research findings and professional development opportunities. NIH publishes a weekly guide of new, updated and deleted funding opportunities. NSF allows users to target updates on a specific Directorate or across all NSF Directorates. Philanthropy News Digest publishes private foundation Request for Proposals on a weekly basis. Users may also target notices related to a broad topic (arts, education, etc.). The Robert Wood Johnson Foundation provides updates on funding opportunities, news and research. You can subscribe to email updates. The Transportation Research Board provides periodic updates on funding opportunities that align with specific transportation-related subtopics. Hope College offers a number of internal funding mechanisms in support of faculty and staff research and scholarly activity. Funding may support the collection of pilot data, a portion of a larger initiative or a self-contained project. The Continuum Scholars Program aims to expand the conversation at Hope College around issues of faith, vocation and scholarship. Faculty sabbaticals are designed to encourage faculty professional development and a period of dedicated time to an intensive scholarly project. The Jacob E. Nyenhuis Faculty Development Grant Program supports individual or collaborative research projects during a summer term. Towsley Research Scholars receive summer research funding and a sabbatical to pursue scholarly research. Hope College offers a host of undergraduate research programs in support of faculty-mentored, student-led projects. SMARTS is an email notification system that alerts researchers to new or updated opportunities which align with their research interests. SMARTS is connected to the funding opportunities listed in the Sponsored Programs Information Network (SPIN) database (see below). In order to receive notifications, faculty and staff must register for an account via SPIN. Would you like to receive email notifications containing funding opportunities which align with your interests? If so, contact Ron Fleischmann, director of Sponsored Research and Programs (fleischmann@hope.edu), to request an account. Additionally, the Office of Sponsored Research and Programs offers a SMARTS Enrollment Guide to assist faculty and staff in creating their account. Hope College subscribes to the Sponsored Programs Information Network (SPIN) database. SPIN is accessible from any computer connected to the internet through the campus network. Faculty and staff may create an account to access SPIN from an off-campus computer. Would you like training on the use of SPIN? If so, please contact Ron Fleischmann, director of Sponsored Research and Programs (fleischmann@hope.edu).